What makes BuffK-9’s® True Champion Dog® 2.0 the MOST POWERFUL dog supplement on the market? “A real high-quality dog supplement should be able to deliver visible results within 2-4 weeks, that’s the BuffK-9® difference” No one comes close. What is contained in True Champion Dog® 2.0? 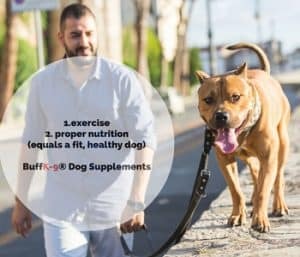 The nutritionists and veterinarians who team up with BuffK-9 Supplements wanted to develop a powerful and convenient to use product for all dogs. Thus, True Champion Dog® 2.0 was born. After years of research, testing and data analysis, we are finally proud and excited to introduce the most powerful dog supplement on the market. How does True Champ 2.0 work? 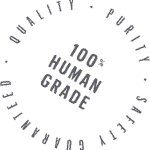 Without making you read through pages and pages of data and research, we can give you a short breakdown. 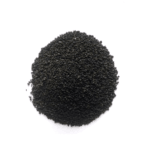 Powerful herbs and nutrient rich humic acid. 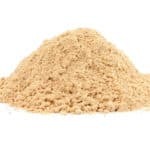 Ashwagandha, one of the most researched herbs throughout ancient times, is known for it's adaptogenic properties. 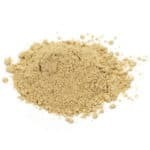 An adaptogen adapts to the different stresses of the body and mind. The benefit to this is reduced cortisol, which in turn allows the body to build more lean, functional muscle, while also improving strength, agility, and stress response. Cordyceps are working synergestically to promote better oxygen, recovery, immune system boosting and better endurance/ stamina. In addition, the oxygen boost and recuperation time for dogs under heavy exercise loads is dramatically enhanced. 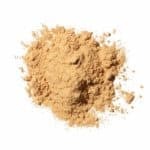 Astragalus, known for it's super immune boosting properties. Helps to maintain healthy liver health. Also helps to maintain proper kidney function. 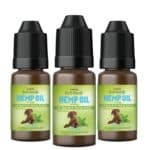 This powerful herb is being featured specifically for the extreme health benefits it offers our dogs. Astragalus further prevents free radical (cancer causing) damage to the bodies cells. Humic acid was added for multiple reasons. First, to provide an all-natural source of over 70 trace minerals, vitamins and aminos from mother nature herself. Next, to provide the electrolytes needed for working dogs which adds to the endurance benefits of True Champion Dog® 2.0. Lastly, humic acid is a nutrient supercharger! It enhances the transport of nutrients taken with it. This is huge, since dog foods are starting to improve these days, True Champion Dog® 2.0 adapted to provide your dog with nutrients and benefits he or she may need, without the extras that are no longer necessary. The formula is improved, and the benefits are greater! Our passion began with the #1 goal being that of the health and wellness of our canine friends. Not surprisingly, when you fill in the gaps of missing nutrients, amazing things can result. 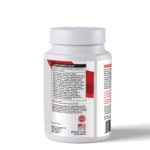 To mention some benefits that may result from nutrient replenishment provided by our dog vitamin supplement, True Champion Dog™: health, lean muscle gains, strength, endurance/ stamina, energy, skin/coat improvements, immune system health and fertility. 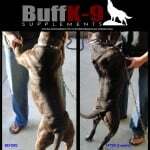 BuffK-9® dog supplements work safely, quickly and effectively. Whether you just want a healthier and better looking dog or if you compete in shows, BuffK-9's® True Champion Dog 2.0® muscle Supplement will not disappoint. Scientifically researched key nutrients to help support the entire health and well-being of your dog while delivering real results in performance, safely, quickly and effectively. 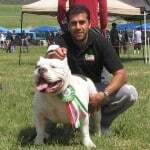 What makes BuffK-9®'s True Champion Dog™ so special and why does it work so well? The secret to BuffK-9′s success is the power contained within all the nutrients working synergistically with each other. As simple as this blend looks, there is a lot going on in the body and mechanics of the naturally occurring nutrients and phytonutrients that make our formula work so well. It took several years to develop this exact combination of ingredients. 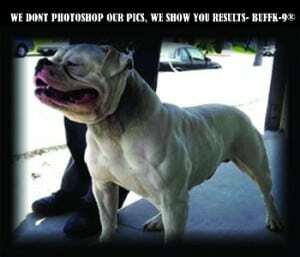 It is the power of our blend that sets BuffK-9® Supplements in a league of it’s own. 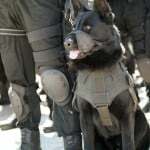 Some of the top contenders in schutzhund shows are using our supplement. 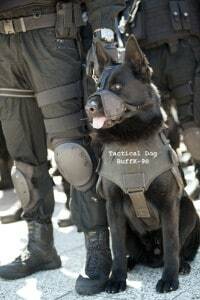 Add to that top military and law enforcement personnel adding BuffK-9® Supplements to their dogs food, you got an unstoppable force. 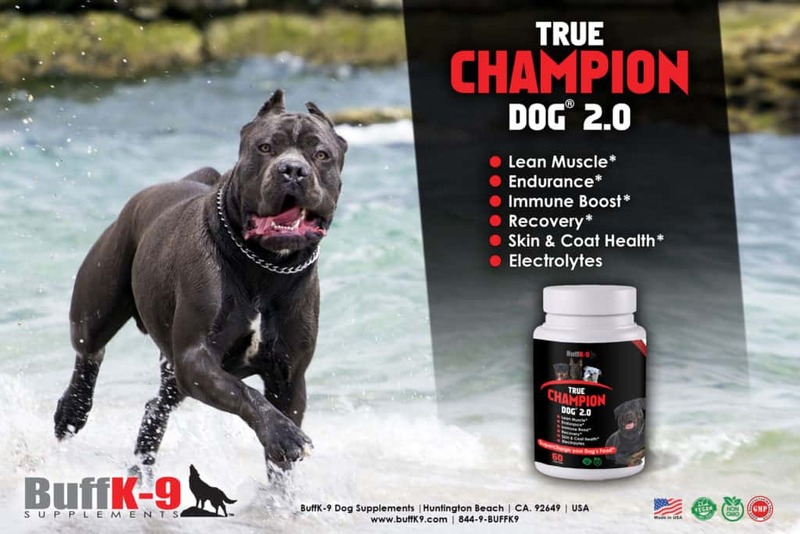 Increasing strength, lean muscle, performance, recovery, speed, joint protection, immune system, skin and coat, and overall health/well-being, BuffK-9® True Champion Dog™ is the most complete and trusted supplement on the market today. Ever wonder why some dogs have a higher presence in the show ring? That is because their owners are aware that in order to win these days, your dog must have an additional edge that the competition doesn’t. BuffK-9’s® True Champion Dog™ improves the health and looks of your dog from the inside out. 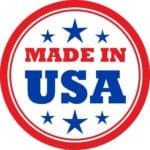 We accomplish this by providing a proven blend that produces results, period. Yes, the greatest reward to give your dog is to keep them healthy, kind-of-like how they keep us happy. Owners are aware of the phenomenal benefits a dog may receive by adding BuffK-9® True Champion Dog™ to their dog’s diet, which can replenish nutrients missing from today’s commercial diets. Those benefits not only include our performance specialty, but also immune system boosting, skin and coat health, joint protection, and higher energy for your dog. Think the only way to get a good looking dog is with genetics and diet? WRONG. Do athletes depend on diet and genetics only? NO. In order to unlock true genetic potential, you need to maximize the replenishment of proper nutrients along with reasonable exercise for your dog. Breeders around the world have realized that in order to stand out, you need to have a dog that is healthier and better performing than the rest. Try BuffK-9® True Champion Dog™, you won’t be disappointed. How can all dogs benefit from using a balanced supplement? Very simply: by filling in nutritional gaps within the diet. Science and newer studies have made it very clear that humans should be taking a daily multiple vitamin to support overall health. Regardless of how great we believe our diets are, food just does not contain the same nutrition it used to. 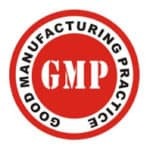 Imagine most dog foods for that matter; these are produced to mass market specs to provide your dog with the cheapest and easiest way to fill their stomachs. How many nutrients do you think your dog is really getting from their diet? If you have a performance dog, sport dog, hunting dog, schutzhund or protection dog, or a dog in need of rejuvenation because of aging, injury and years of poor diet, you’re in the right place. 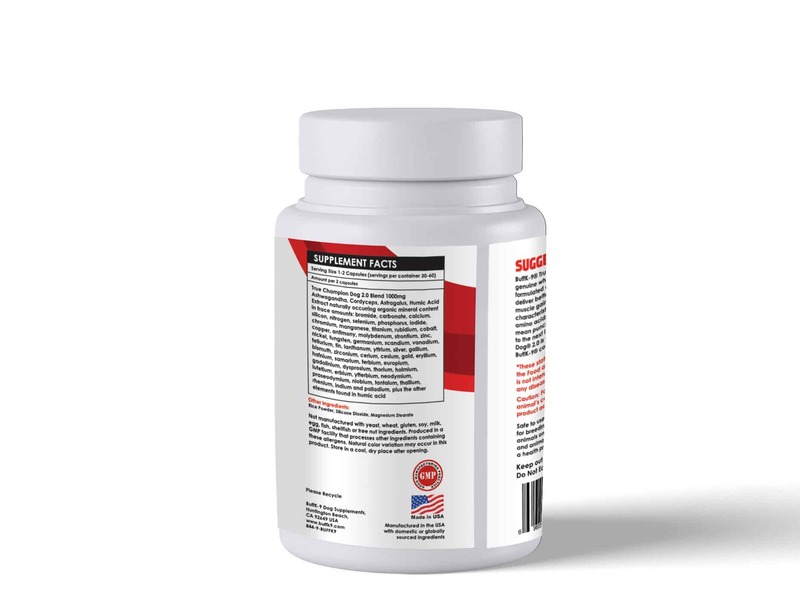 BuffK-9® True Champion Dog® 2.0 supplies your dog with the proper balance of key nutrients to grow and define muscles and support stress and immune system recovery from long days of exercise. 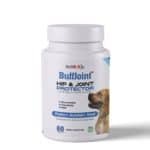 BuffK-9® True Champion Dog® 2.0 may also help protect your dog from free radical damage and improve heart health, energy and the appearance of its coat. Top breeders, trainers, celebrities, enthusiasts and even the military rely on BuffK-9™ Supplements to deliver the results they need for their dogs! Our all-natural, whole-food formula contains only all natural ingredients, just the best vitamins, minerals, amino acids and antioxidants, everything you need in the right ratios to deliver better performance for your dog. BuffK-9’s® capsule formula is easy to administer, simply add the recommended amount daily to your dog’s food and witness the improvement (individual results may vary; consult your veterinarian for specific diets and exercise). Recommended for dogs aged 6 months and older. 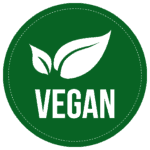 *No artificial flavors, colors, or preservatives, non-gmo. Human-grade ingredients.